As I mentioned in the green tea ice cream and peanut butter ice cream recipes, it’s possible to make ice cream without a machine. Granted, it can be difficult to get a really creamy and smooth ice cream, but the lack of an ice cream maker doesn’t doom you to store-bought desserts. Take granitas, for example. They’re an Italian frozen dessert, similar in texture to a snow cone, but you start with the flavoring instead of dumping it on top right before serving. A big benefit of granitas is that you don’t need any special equipment to make them. Just the freezer. They’re icy and crunchy, perfect for hot summer days. But back to granitas. We had a large honeydew melon that was needing to be made into something, and granitas are something I’ve been thinking about for a while now, so I gave them a go. 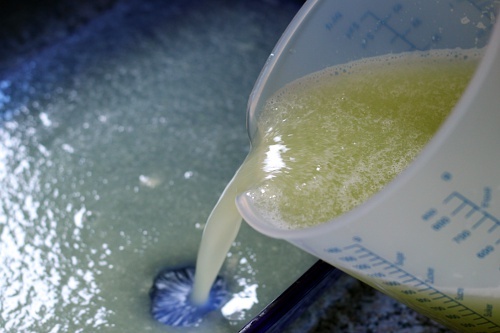 Stir the water, lemon juice, and sugar together until the sugar is dissolved. 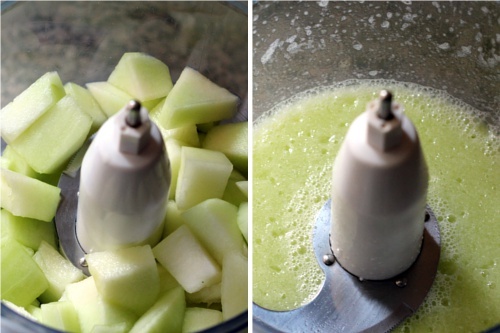 Add the honeydew puree and mix well. Pour into a large shallow dish and place in the freezer. Once ice crystals start forming along the edges, remove from the freezer and scrape the crystals back into the liquid. Return to the freezer. Check every half-hour and break up any ice crystals until completely slushy. Serve. It will probably take a least a couple hours for the granita to freeze. It depends on how cold your freezer is and how large of a container you are using. Once the granita is slushy it can be frozen overnight, however it might need to sit out a little before serving. 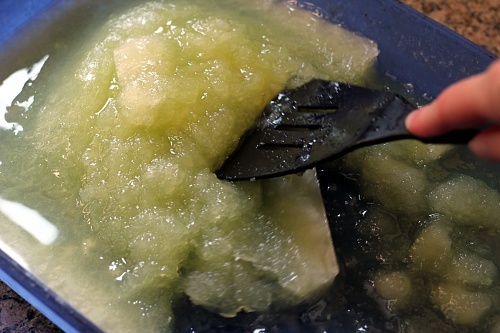 The amount of sugar can be decreased to make a crunchier granita. The lemon adds just enough acidity to balance the sweetness. If you really want lemon flavor swap in another 1/4 cup of lemon juice and decrease the water by 1/4 cup. 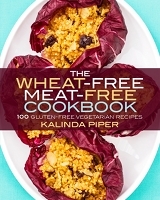 I’m also sharing this recipe in Gluten-Free Wednesdays and Full Plate Thursday. It was also featured on the Prevention Magazine blog. Shirley: The honeydew sherbet sounds delightful. We’ve had the ice cream maker for a couple years now and I have yet to try anything other than ice cream in it. I should give it a go with all the great fruit available right now. Zoe: I saw the grapefruit granita. So jealous, I love grapefruit. 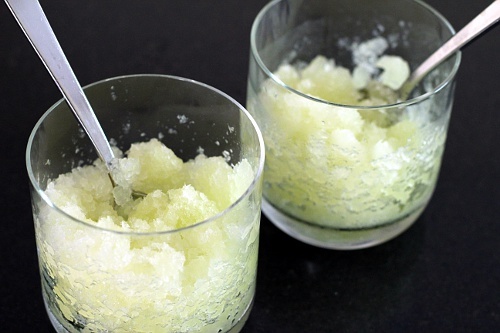 If I didn’t already have honeydew granita sitting around, I’d probably make some right now. And that’s awesome about your brother. I wish I knew enough as a kid so say “I’m going to make granita” and then do it. These look so refreshing. 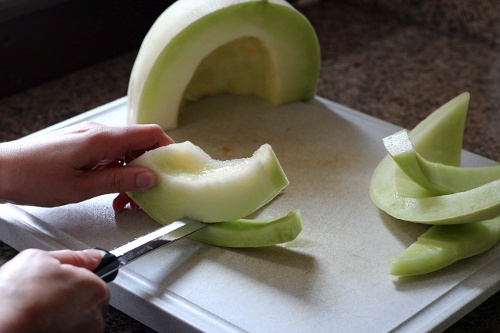 I love honeydew! I was just telling a friend about a Granita, I will just forward your recipe to her. It looks delicious and so cool and refreshing. Hope you have a great week end and thanks for sharing with Full Plate Thursday! But now I’m thinking of making some and adding a shot. It’s freezing in Cardiff now, and how Summery would that make me feel? And yes: I am rootling around your old posts. Ooh yes, maybe even add some lemon zest for an extra citrus boost. And a cocktail umbrella.